The four films that Mrinal Sen made during 1979-1982 constitute perhaps his most matured and creative phase as a filmmaker. 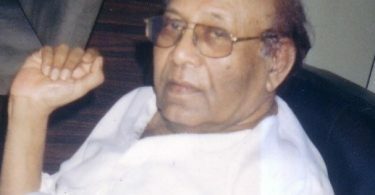 In these films he discards his late 1960s and ’70s style of a freewheeling, politically involved and didactic cinema and opts for introspection which he described as “a ruthless business.” By turning his cinematic gaze inwards, Sen, in these films exposes the foibles and hypocrisies of the Bengali petit bourgeoisie of the period. He defined Kharij, the last in this series, as “a social commentary on certain households who shabbily treat their servants.” The film uses a realistic idiom to portray the immorality and inhumanity of employing child labour. It is also conscious of the issues that perpetuate this crime as an unavoidable social reality. The banter between Anjan and Mamata, that comes just after the title sequence, in which she declares that a servant boy is her primary need of the hour and the nonchalant manner in which the couple list the numerous but considerable duties of their future servant points to the dire need of such labour for a working couple with a small child. In the scene that follows, the admission of Palan’s father of poverty being the prime reason for putting his youngest son into service though pedagogic in its nature serves as the proper exposition to the socio-economic background of the phenomenon. Kharij is a film with a minimal plot built around the unexpected death of the young servant boy, Palan, and the responses it generates in his middle class employers, their neighbours, Palan’s father, his peers and another set of characters and institutions like the local doctor, the police and judicial system. The disruption educes a chain of events which are logical and expected under the circumstances – inquisitive outsiders who abuse the sanctity of their apartment, the lackadaisical police enquiry, tea and sympathy from helpful neighbours, consultations with a lawyer and even the pathetic break-down of Palan’s father – but together they add up to rip apart the comfortably pretentious world of the Bengali bhadralok class. In the film there is no direct charge of complicity in the demise of Palan – the police never implicate the couple – yet their life comes crashing down because of the ethical and moral remorse arising out of their absolute disregard of the small boy which led him to take refugee in the unventilated but warm kitchen on a freezing winter night. Characteristically, they attempt to shift the blame first on their landlord for not providing a ventilator in the kitchen and when that fails because the old man defends himself vigorously, the couple bare their fangs on each other arguing about their duties and responsibilities towards the unfortunate servant. In Kharij, the debates and defences offer no redemption. As the film progresses Anjan, Mamata, their neighbours and even the audience (who are made to empathise with the protagonists’ misery by the film’s gripping story-telling that creates an atmosphere of suspicion and suspense) realise the futility of raising the accusing finger. The scene in which Anjan accompanied by his helpful patriarchal neighbour (Bimal Chakraborty) goes to seek advice from a lawyer (Charuprakash Ghosh) encapsulates the most lucid examination of the attitudes and behaviour that led to the tragedy. In a clinical fashion the conscientious legal luminary lays bare the offence of negligence that led to the servant’s death. He also admits the impossibility of providing Palan and his ilk their due legal-moral rights and privileges that come naturally to Anjan and Mamata’s son, Pupai. His ironical assurance that a legal lie must prevail over the moral truth provides a bitter salvation and is also the most perceptive verdict of the situation. 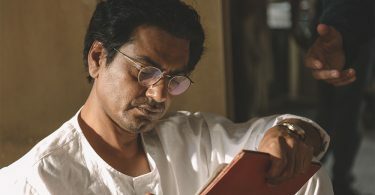 The brilliance of Kharij is in the authenticity with which the film captures the milieu of a middle-class locality of Kolkata of the period and the attitudes and behaviour of the people who inhabit that space. The crusty old landlord, his wife (Gita Sen) who sends a cup of tea to Anjan and Mamata and invites them to dinner and their smart son who rings up the cops and an ambulance; Srila (Srila Majumdar) the young woman who immediately volunteers to take care of little Pupai when trouble breaks out; Srila’s obliging parents who provide assistance and advice; the old liberal intellectual and his young comrade who argue the pros and cons of a national policy on child labour; and the local loafers who take advantage of the crisis to invade the privacy of the couple’s home to leer at Mamata and Srila – all stand as archetypes of the community. The environment is best captured in the scene – a series of shots bordering on the rawness of a candid camera documentary overlaid with a sound montage of the hammering on the kitchen door, distorted whispers of the neighbours who start gathering in front of the house and are accompanied by strains of discordant music- that builds up the suspense regarding the fate of Palan and leads to the revelation of his death. The sequence also helps to hook the viewer strongly into the narrative and follow the trials and tribulations of the protagonists. Although the film is strongly set in the realistic storytelling mode there are a few deliberate disjunctions but these remain strongly rooted to the overall framework of the film. Hari – the obedient servant boy working with the landlord’s family and Palan’s friend by default – is present throughout the film performing his daily chores like a silent automaton amidst all the tumult and tensions. Hari is the moral touchstone of the film. In contrast the film also delineates the sheltered existence of Pupai. Although Pupai retains his innocence the film clinically dissects the sheltered upbringing that will perhaps turn him as insensitive as his parents. Srila thus tries to answer his questions about Palan by creating an inane ditty which explains that sick persons like Palan are usually taken away by the cops while in another moment she recites a nursery rhyme in which a doctor is called to treat a rich little girl’s doll! But at certain crucial moments of the film – for example when Mamata breaks into sobs in the first little moment of privacy she gets – the camera often focuses on Hari’s gloomy visage. The intricacy and the deliberateness with which the camera hones in Hari’s innocent and expressive face marks the director’s attempt endow him with an aura that goes beyond the immediacy of the film’s storyline. Hari at these moments becomes the universal icon of child labour condemned to a wretched existence. Hari’s gentle attempts to wake up his dead friend and the sudden silence that follows on the reaction shots of Mamata and the uncomprehending Pupai creates one of the most poignant moments of the film. Another major disruption – the eerie collage of shots of Palan and Pupai having fun where Palan is often substituted for Pupai – triggered by Anjan’s comprehension that the police inspector (Nilotpal Dey) was actually referring to Palan’s corpse disdainfully as “the thing” – works as a fantasy of an ideal situation but is also an admission of the absurdity of such utopias. In the scene of Palan’s cremation there is however an extremely jarring insert of a political graffiti proclaiming gory revenge for a political murder with the pyre flames in the foreground. The insert serves as an expression of the director’s anger and frustration. A little later the shot is repeated but is incorporated within the context by a shot of Anjan staring at it – now the same graffiti becomes the index of Anjan’s fear of vengeance from Palan’s father and his friends. The shots of sad, placid faces of Palan’s father, Hari and the fellow mourners that follow not only to portray their stoic despondency but also indicate the improbability of Anjan’s manic expectations of reprisal. The sounds of burning wood, cracking bones and wind that accompanies the entire sequence are extremely realistic but their extreme magnification reflects the deep-rooted resentments and tensions that lie within the situation and the psyche of the characters involved. 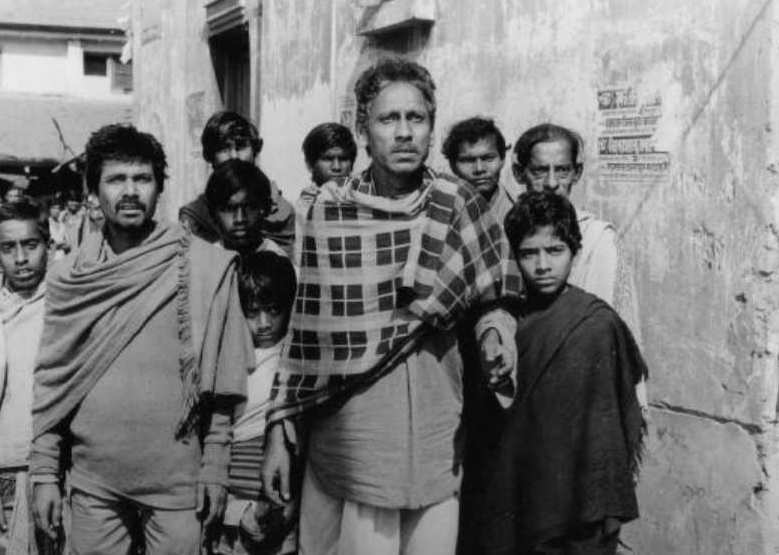 In contrast to the morally bankrupt middle class, the poor in Kharij are portrayed in the spirit of liberal left-wing humanism that permeates through Mrinal Sen’s entire body of work. Anjan’s and Mamata provide Palan’s father with comfortable beddings in their drawing room but he opts to sleep in the kitchen where his son had spent his last night. His refusal heaps scorn on the insincerity of the couple at the same time signifies his deep affection for his son. After completing the rituals of cremation, when he and his band of mourners visit the couple’s house in the middle of the night another moment of palpable suspense develops. Their humble departure is definitely anti-climatic but endows them with great dignity. This lack of protest is also the final denouncement of the middle-class ethos wrecked by the constant fear of demand for justice from the classes they exploit. So, when ‘normalcy’ is finally restored the protagonists are stripped of their last vestiges of dignity and find no escape from the stigma of their moral sins. Kharij is one of Mrinal Sen’s most technically matured works – a film that demonstrates his immense understanding of the tools of cinema and his ability to employ them with economy and control. The minimalist and non-interventionist cinematography of KK Mahajan excellently captures the realistic idiom within which the film operates. BV Karanth’s background music based on Carnatic classical music sometimes borders on atonality thus brings forth inner tensions that lie beneath the mundane placidity of the visuals. The imaginative use of synch and non-synch sounds (often heavily distorted and exaggerated) also indicates the conflicts within. Nitish Roy, in his debut film does an excellent job as the art-director. True to the tradition of Bansi Chandragupta (who worked in Sen and Satyajit Ray’s finest films) he creates extremely realistic sets of the rooms and other places of Anjan and Mamata’s house and other interior locations shown in the film. The cast led by Anjan Dutt and Mamata Shankar, supported by conversational dialogues, seem to merge into their screen personas. Gita Sen, Charuprakash Ghosh, Bimal Chakraborty, Nilotpal Dey and others who make cameo appearances put in restrained yet powerful performances. Debapratim Dasgupta as Hari evokes the overwhelming sense of misfortune that condemns millions like him to a life of wretchedness. Srila Majumdar and the character she plays, however, stick out like a sore thumb. As a helpful young girl who rushes in to provide shelter to Pupai she is believable but the film seems to overemphasise on her role and yet offers no explanation for her excessive interest and familiarity with the couple. Her behaviour at times is like a flirtatious teenager but Srila Majumdar oozes the sensuality of an older, experienced woman. Kharij is a thought provoking and disturbing film that exposes the fragility of petit-bourgeoisie morality and the socio-economic conditions that produce child labour. The film paints a bleak landscape filled with an overwhelming sense of despair and pessimism. The depressive tone deprives the film of any sense of pleasure but there can be no denial of the fact that the film’s critical analysis remains pertinent and valid to this day. Kharij won the National Award for the Second Best Film and the Best Film in Bengali in 1982. It also won the National Awards for Best Editing and Art Direction. The international awards won by the film include the Jury Award, Cannes Film Festival (1983), the Bronze Hugo, Chicago Film Festival (1983) and the Golden Spike at Valladoid Film Festival (1983).